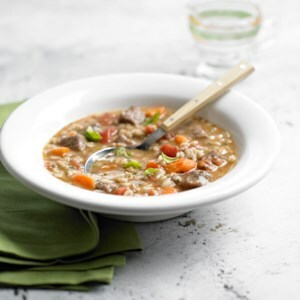 Find healthy, delicious spring crockpot and slow-cooker recipes, from the food and nutrition experts at EatingWell. 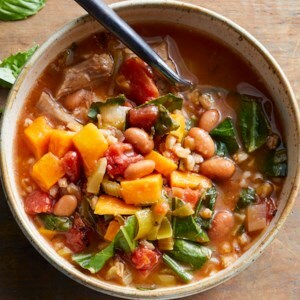 Mix up the ingredients for this veggie-packed soup recipe in your slow cooker in the morning and come home to a delicious Spring dinner. 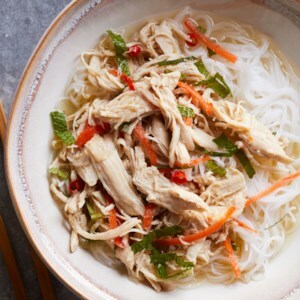 These easy poached chicken breasts infused with the nuoc cham sauce make a great Spring dinner. 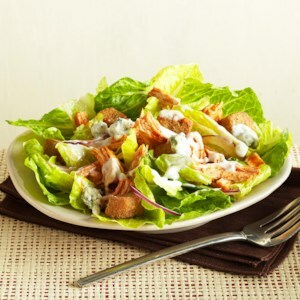 Use the leftovers over the days to come in soups, sandwiches and salads. 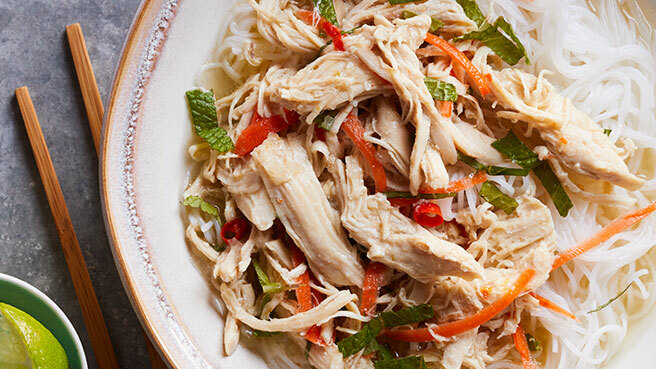 In this healthy slow-cooker recipe, layer ingredients and let the crock pot cook. 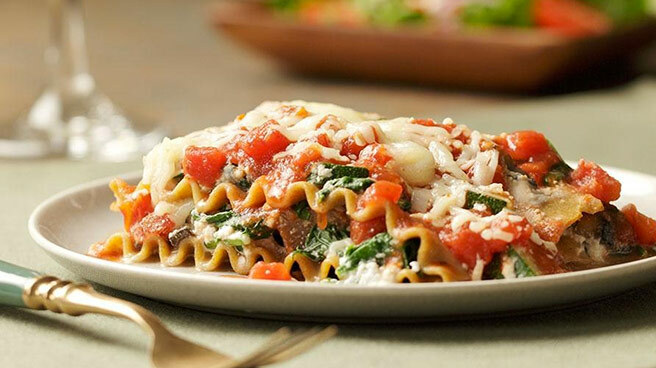 This lasagna is perfect for your healthy Spring dinner. 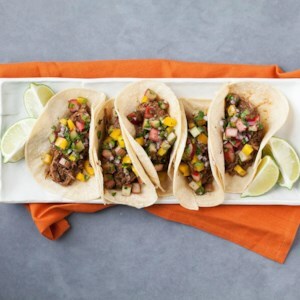 The fresh salsa in this easy load-and-go taco recipe is a great way to use spring rhubarb. If you don't have rhubarb, try subbing in fresh tomatillos or red bell pepper for an equally beautiful and delicious taco topper. 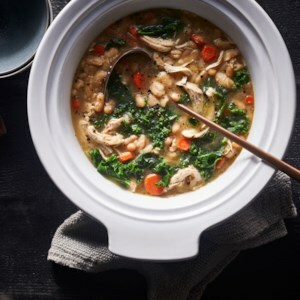 This brothy stew is boldly flavored with a blend of characteristic Middle Eastern spices and finished with fresh spinach and fiber-rich chickpeas. 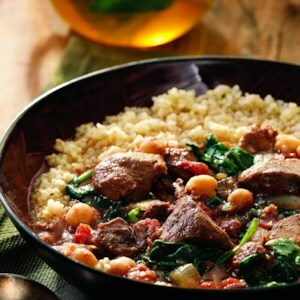 Economical lamb shoulder tenderizes beautifully when leisurely cooked in a slow cooker. If you can't find boneless shoulder stew meat, do not substitute more-expensive lamb leg--it tends to dry out during slow cooking. Instead, purchase lamb shoulder chops and debone them. 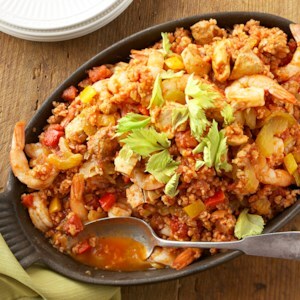 Serve over bulgur and accompany with a salad. 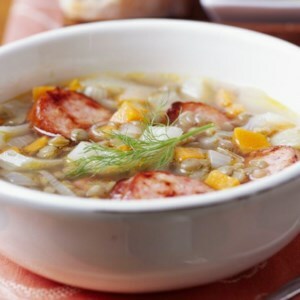 This yellow split pea soup has fresh ginger to give it a bright flavor. Use the best ham you can find to get the most flavor. We've made a few tweaks to the original Sloppy Joe recipe for our easy slow-cooker version. We've replaced ground beef with ground turkey, added lots of vegetables and pizza sauce, and topped each sandwich with a thick slice of yummy mozzarella cheese. 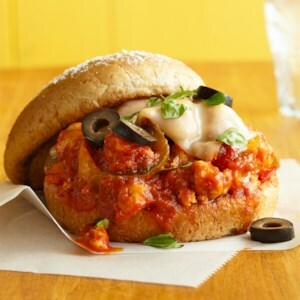 These pizza-flavored sandwiches will appeal to pizza lovers everywhere with a taste is out of this world! 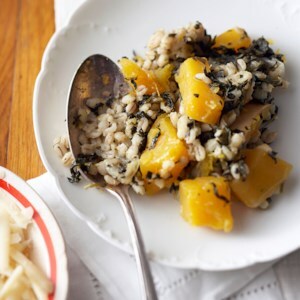 Barley is an excellent source of fiber, and in this slow-cooker recipe it's paired with nutrient-dense spinach and butternut squash. 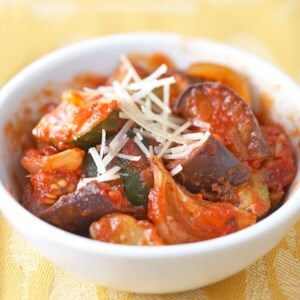 Topped with shredded Parmesan cheese, this side dish will be happy sharing a plate with whatever else you're serving. 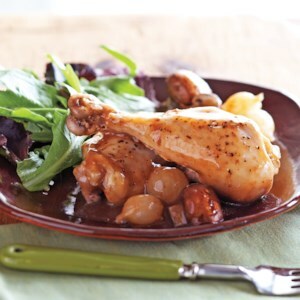 This stew recipe is a great choice for a warming fall or winter dinner. 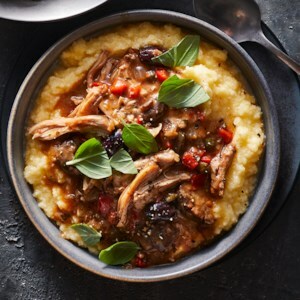 Because it uses shredded, cooked pork it's a relatively quick slow-cooker meal, ready in under 3 hours. 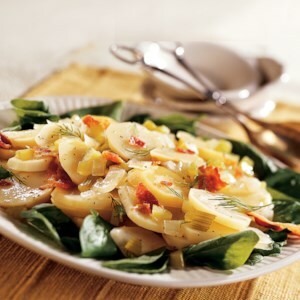 This side dish is a cinch -- place the ingredients in your slow cooker and forget about them until dinnertime. 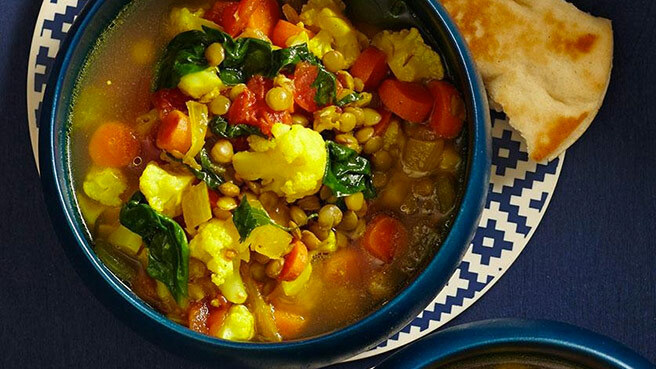 Use your slow cooker to create this tasty vegetarian soup. If you like a little kick, a few drops of hot sauce does the trick. 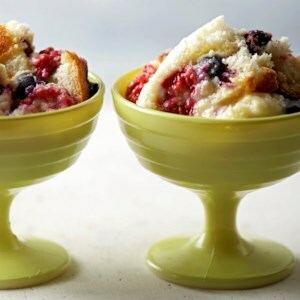 Impress your friends and family with this beautiful and refreshing lemon and berry pudding cake. Craving pizza but don't want to order takeout again? 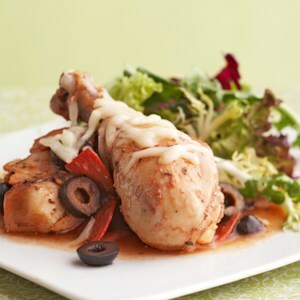 Add zesty pepperoni, olives, an herby tomato sauce and mozzarella cheese to chicken for a family-friendly dinner. 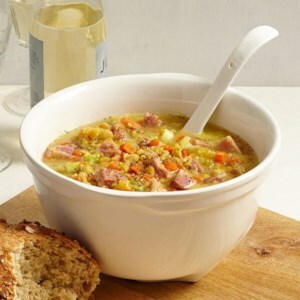 Start this in the morning and you'll be greeted with wonderful aromas after work. 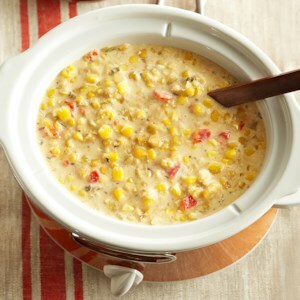 Just fill the slow cooker and turn it on! 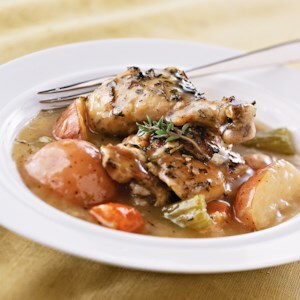 Chicken and hearty vegetables are simmered in a delicate wine-flavored sauce for this recipe. And it's made in the slow cooker for ease. 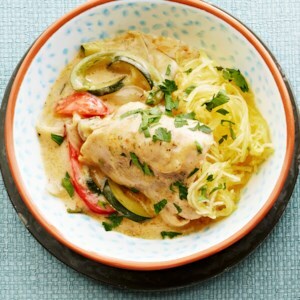 This creamy, veggie-packed chicken dinner comes together easily in your slow-cooker-and makes enough for another night's casserole (see associated recipe)! 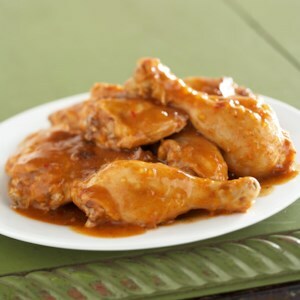 Nutty cumin, citrus, and jalapeño pepper jelly make a tasty sauce for the chicken as it simmers in the slow cooker. 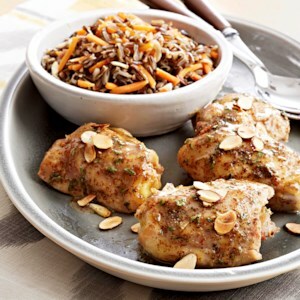 Serve with whole-grain bread for a complete meal.